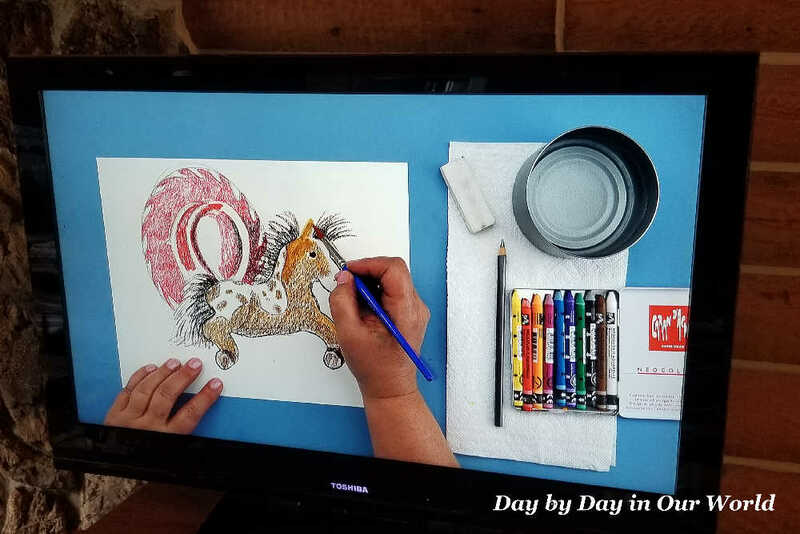 We’ve been doing art for kids with the new ARTistic Pursuits Art Instruction Books with DVD and Blu-Ray from ARTistic Pursuits Inc. We received a copy of Art for Children, Building a Visual Vocabulary to review as part of the Homeschool Review Crew. All opinions are our own. Over the years, the boys have all tested out at least one program from ARTistic Pursuits. When I heard about the new series for kids in kindergarten through grade 3, I was seriously intrigued. We already have adored the previous books and I couldn’t wait to see how things were changed up to improve upon a good thing. 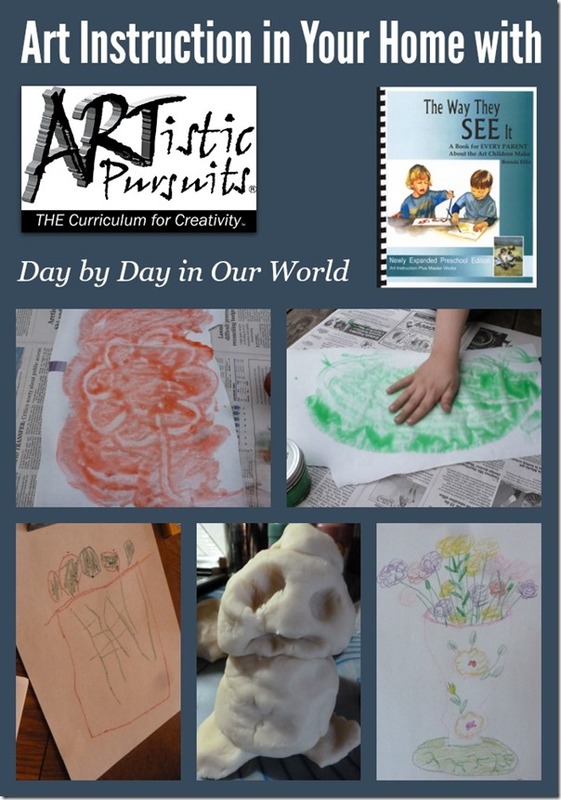 ARTistic Pursuits is a program which teaches art history while encouraging kids to create art through observation of their surrounding. Through the lessons, they learn about art materials and how to use them to create projects. They also hone the ability to become visually aware of the world around them. The new series is a combination of 6 video and 12 print lessons which are meant to take a semester to complete. The hardback book comes with the video lessons on a BluRay and DVD which are attached to the inside cover. After a list of materials for the particular book as well as a word to the parent about teaching simply, the students are set to begin their lessons. For each of the lessons, you are given a list of needed materials. There are also notes for preparation written for the parent before the non-view lessons. Print lessons contain a page for art history with a full-color picture of the artwork being discussed. There are also questions to prompt them to look more closely at the art examples. After either the video or reading, the child is then ready to get to the hands-on component and be an artist. These pages show steps needed as well as an example of a student’s work with their name and age. 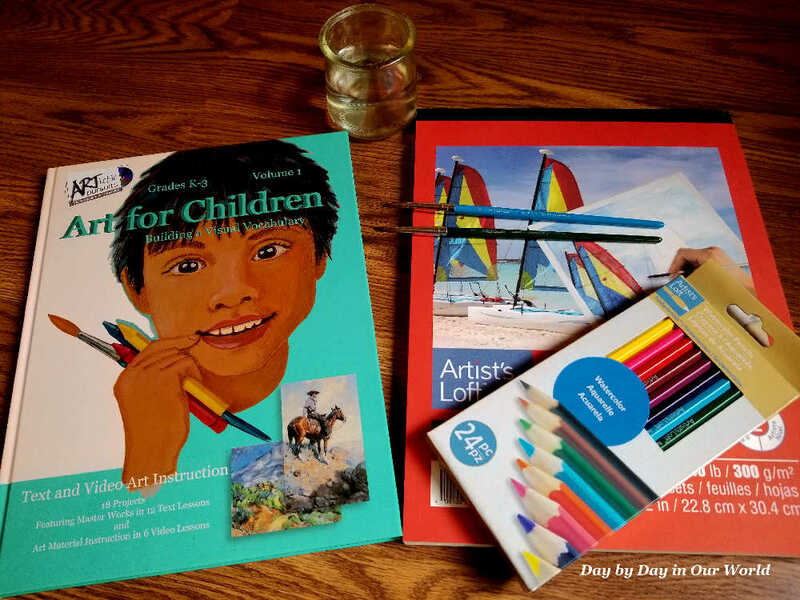 Art for Children, Building a Visual Vocabulary is the first volume in the series. It is recommended that you begin with this title and then either proceed in order or skip around based on the time period you want to study. Objectives for each lesson are listed at the end of the book. This way the parent knows what is being targeted for learning and hopefully better guide their child as needed. Seeing something in action is helpful for me when making a decision. 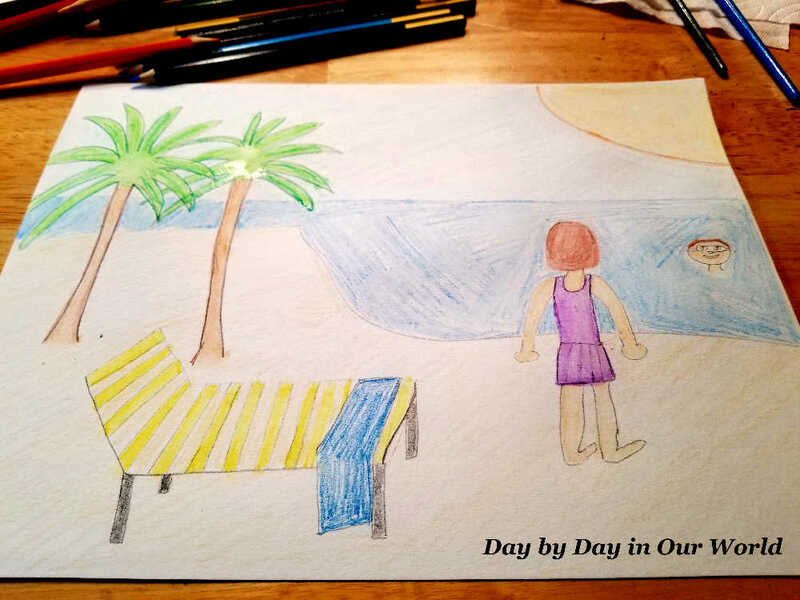 Here is the first Video Lesson from Art for Children, Building a Visual Vocabulary. The lessons are very easy to implement. 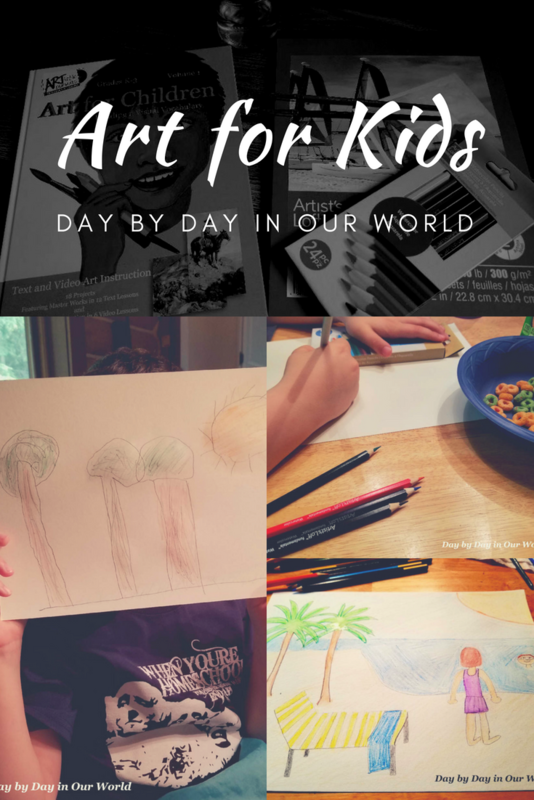 If you have a kid who loves to do art, I could easily see them getting through a book per quarter instead of one per semester. For the first group of lessons, we did improvise on materials. 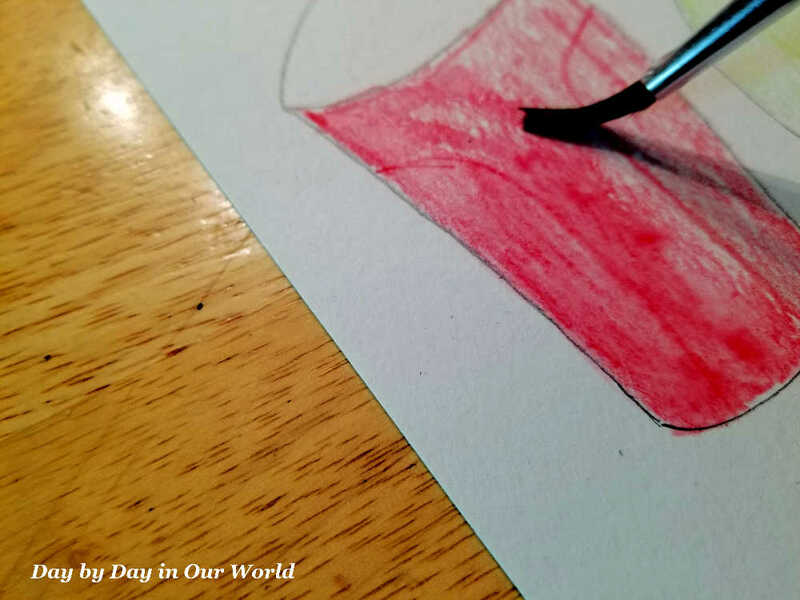 We were unable to find watercolor crayons in stock up in Alaska while we were there. (Our local stores looked like someone had a mad run on art supplies as the shelves were mostly bare!) So, we made due with watercolor pencils. I mention this in part so you can understand why the colors are less vibrant than in the video example above. As much as I have enjoyed the previous version of the program, the move to mixed media for presentation is wonderful. 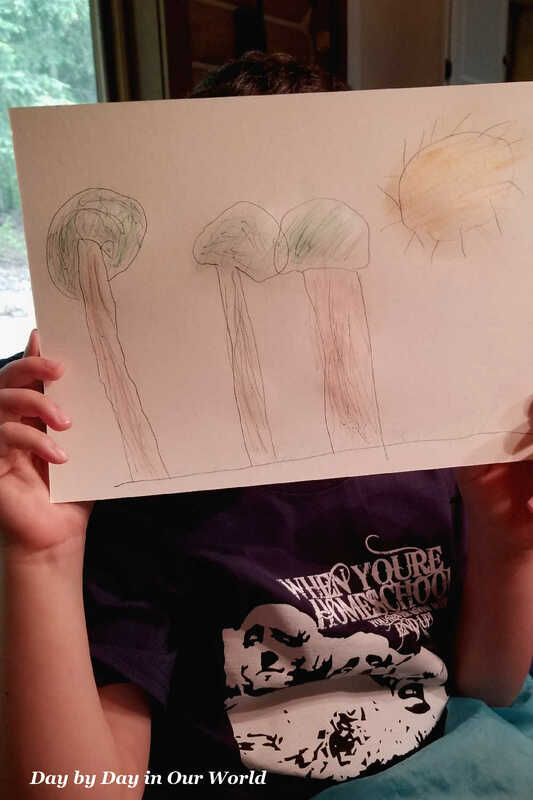 Seeing some of the techniques in action helps this homeschool mom feel more confident in guiding a child through the program. 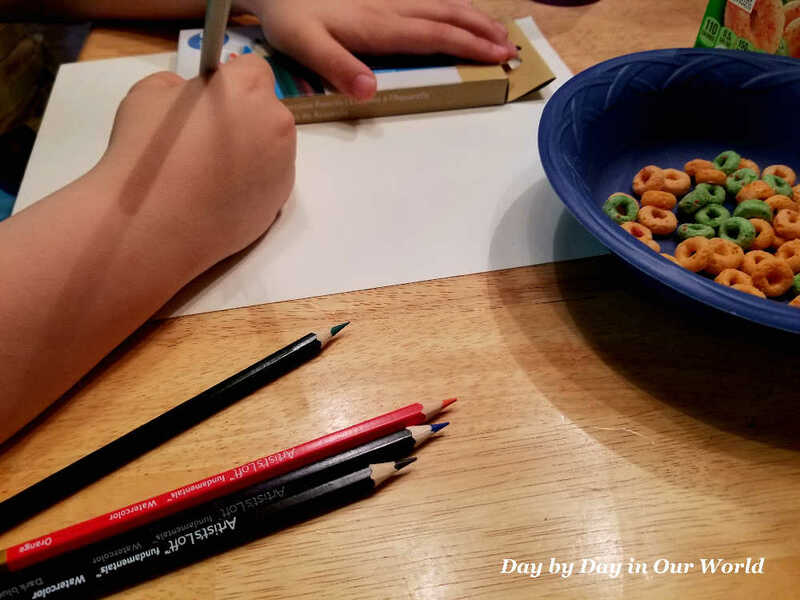 Unlike some art programs, ARTistic Pursuits wants a child to see an example, internalize it, and then create their project through observation. This develops the skill of drawing with the need to simplify and edit to get something approximating the item. My boys tend to shy away when they feel incapable of doing something. So, I am an active participant. This way J can watch how I would sketch in pencil, then erase some lines as needed to get the outline I want. Overall, I find this new program to be a wonderful addition to any homeschool mom’s plan. Everything is easy to put into action and encourages a different type of thinking skill which they can carry through life. An added bonus is that when you actively participate alongside your child, you may find creativity flowing while stress dissolves away. Don’t just take my word for how we found this to be. 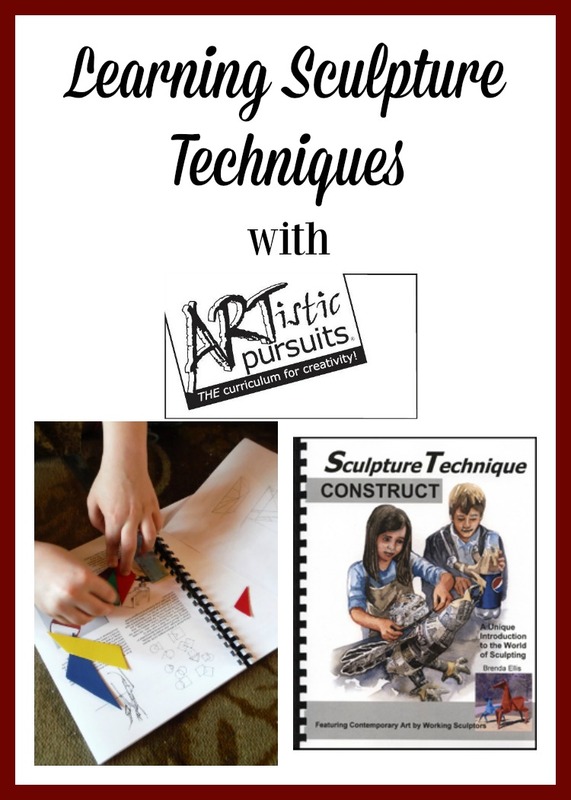 Visit ARTistic Pursuits post on the Homeschool Review Crew website to see what other homeschooling parents thought about this resource.